Introduction to the tip’s chapter to handle tree conflicts under french laws. – If my neighbor’s tree branches hang over my property, can I trim them ? – What are the distance rules applicable to plantations ? – What if the property boundaries are unknown or unclear ? – If my neighbor owns a fruit tree, and the branches hang over my property, can I eat the fruit ? – If my neighbor’s leaves keep blowing into my property, do I have a good nuisance claim ? – Most of a large tree hangs over my property, but the trunk is in the neighbor’s yard. Who owns the tree ? – My neighbor dug up his yard, and in the process killed a tree that’s just on my side of the property line. Am I entitled to compensation for the tree? – A storm knocked down my neighbor’s tree limb onto my property, damaging my house, car, and yard furniture. Is he responsible for the damages? – My neighbor’s tree looks like it’s going to fall on my house. What should I do? 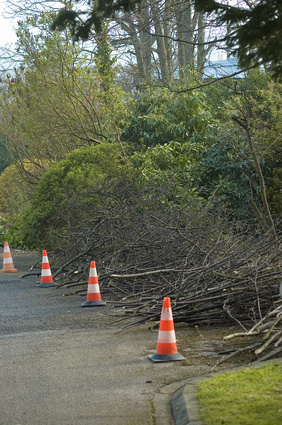 Contact Maître Benjamin A. Kergueno, Attorney at Law today if you are facing tree conflicts on the French Riviera. Maître Benjamin A. Kergueno, LL.M will provide you with a full set of informations and with the adequate counsels to sort it out. For more information or to schedule an appointment with an experienced lawyer regarding tree conflicts in France, please contact us.